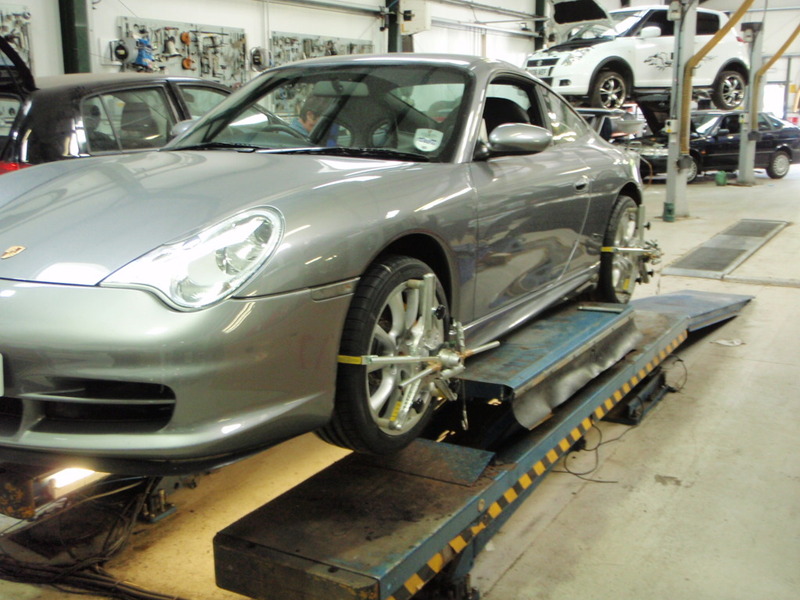 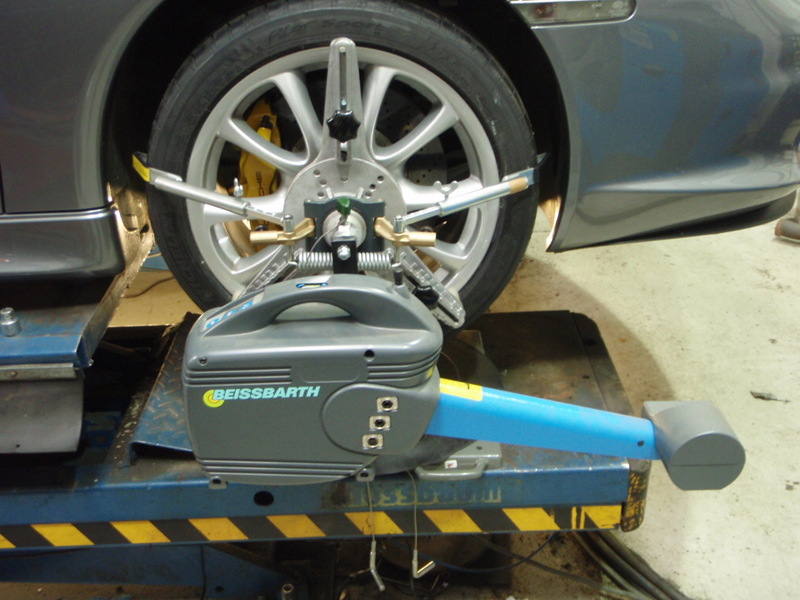 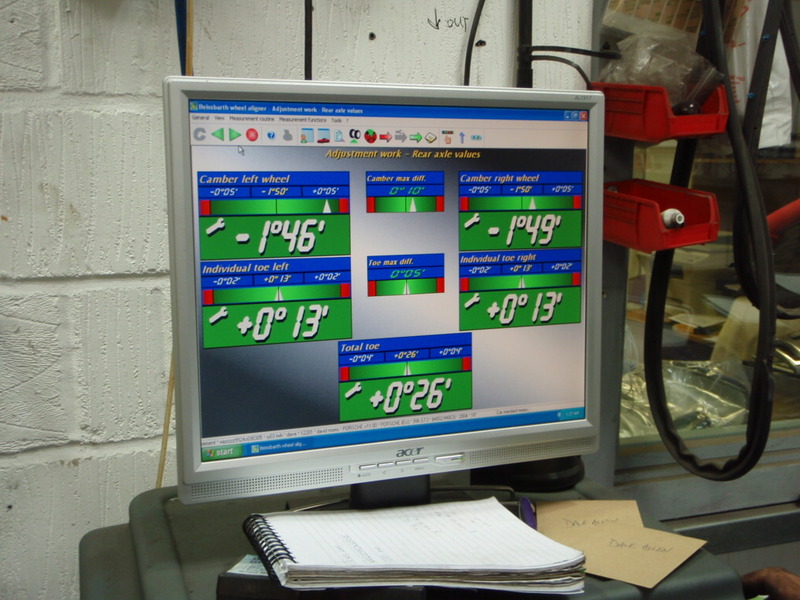 We offer our full laser wheel alignment print out using our high end Beissbarth wheel geometry system and any adjustments required. 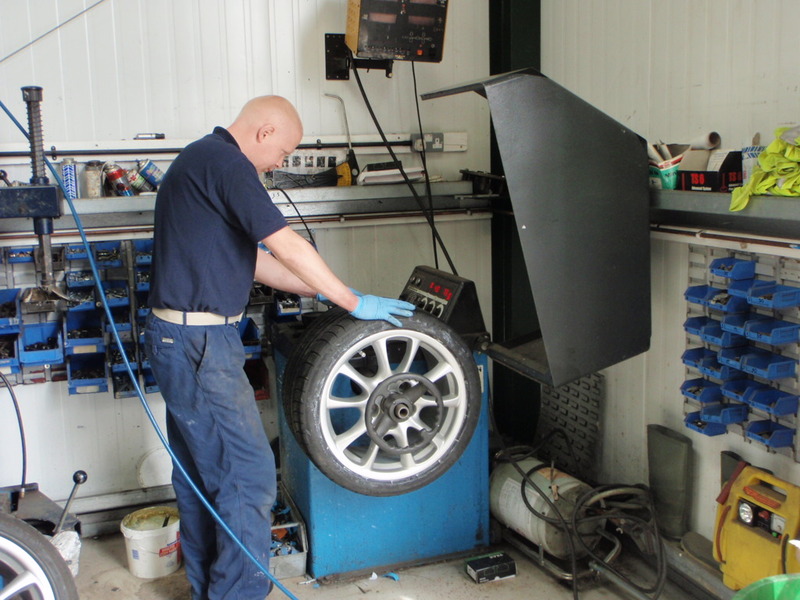 Poor wheel alignment can cause many problems with a car mainly being premature wear to your tyres. 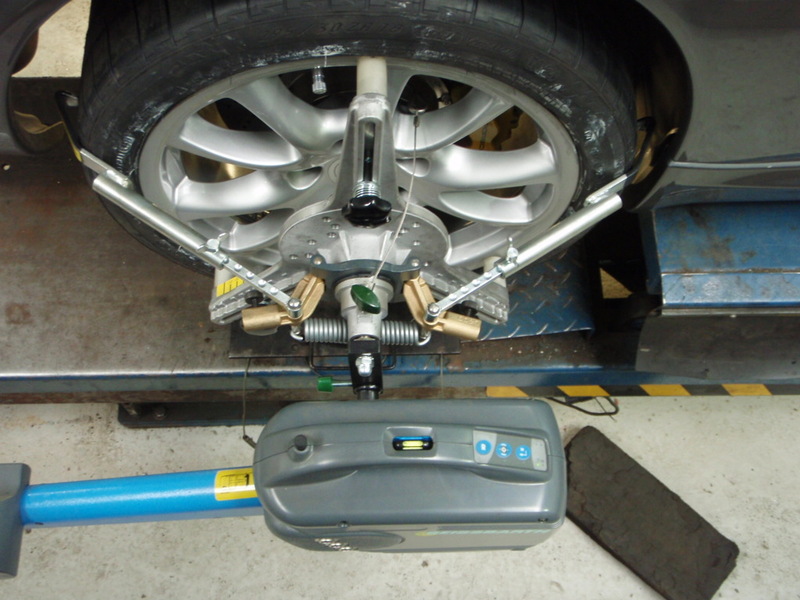 Wheel alignment sometimes referred to as breaking or tracking, is part of standard automobile maintenance that consists of adjusting the angles of wheels so that they are set to the car maker's specification. 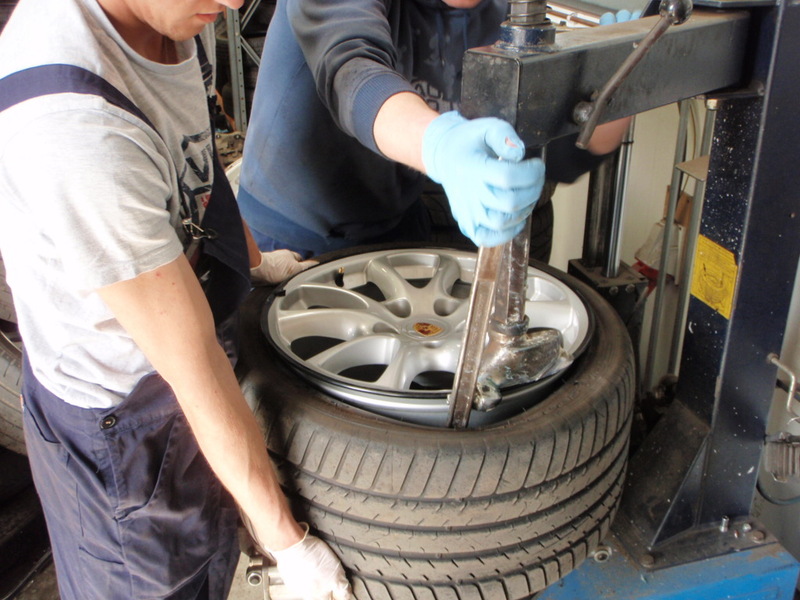 The purpose of these adjustments is to reduce tire wear, and to ensure that vehicle travel is straight and true (without "pulling" to one side). 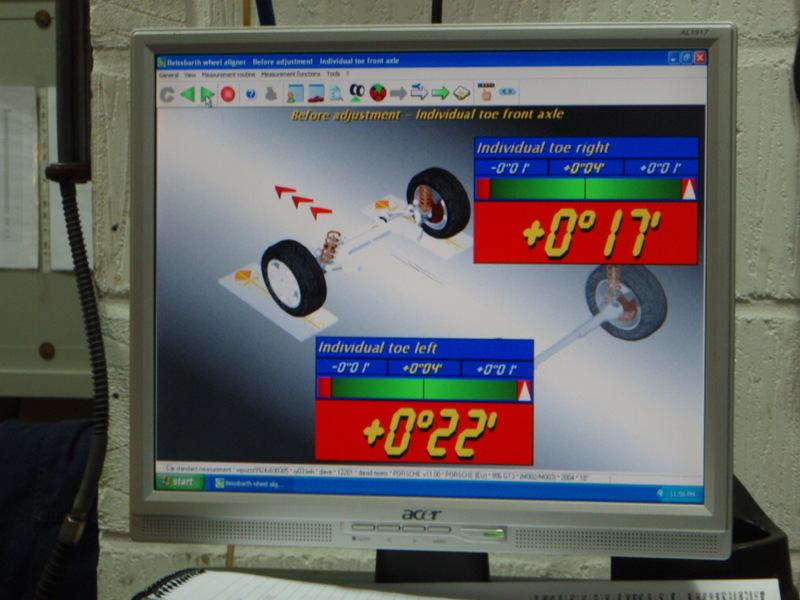 Alignment angles can also be altered beyond the maker's specifications to obtain a specific handling characteristic. 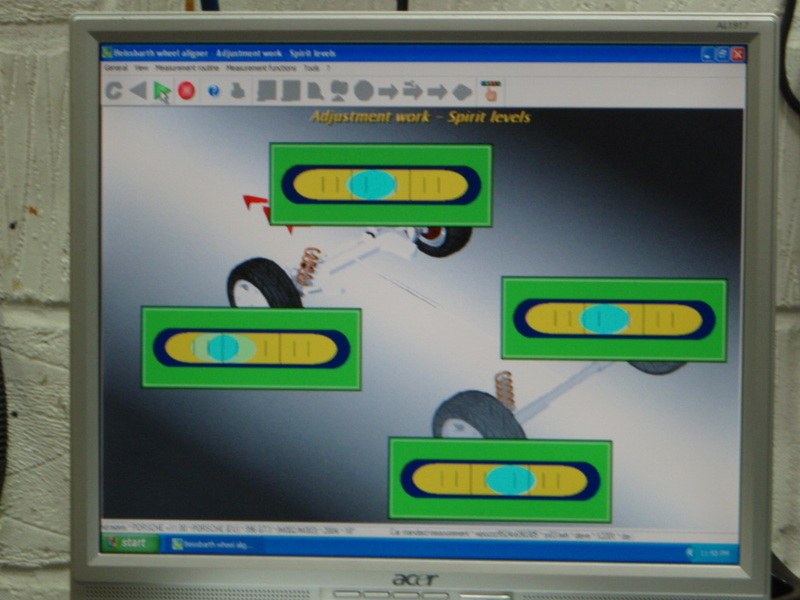 Motorsport and off-road applications may call for angles to be adjusted well beyond "normal", for a variety of reasons.